The Ruger Security-9 pistol is the answer to firearm owners who enjoy the reduced weight of a polymer framed pistol, but prefer a hammer-fired action. The Security-9 is outfitted with a through-hardened alloy steel slide and barrel. The slide is blued for improved appearance and protection, and offers the shooter forward cocking serrations as well. The frame is glass-filled nylon, with a moderately textured grip combining comfort and retention qualities. There is a 4-slot Picatinny rail in front of the trigger guard to mount weapon lights or lasers. 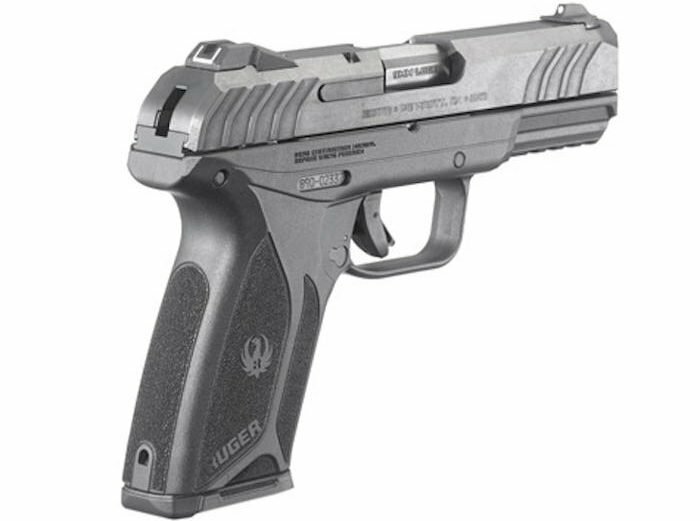 Ruger has wisely selected to include a precision-machined, hard-coated aluminum chassis as the foundation of the Security-9 action. Chassis systems have proven to strengthen the overall mechanism of polymer framed pistols, while reducing flex and improving overall function. The chassis is matched with full-length guide rails. The Security-9 action itself is based upon the highly successful LCP® II Secure Action hammer-fired action. This action is designed to provide a smooth trigger pull, with a short crisp break, followed by a positive reset. Ruger describes the action as mimicking a single-action design. We have not had the opportunity to shoot the Security-9 yet, so we’re hoping the trigger action is similar to the Ruger American Pistol that was nice. The Security-9 will have a bladed trigger safety, that Glock introduced and has become almost synonymous with striker-fired pistols. In addition, the Security-9 will have a manual safety lever at the rear of the frame that blocks the hammer from striking the chambered round. Internally, the Security-9 is designed with a neutrally balanced sear maintaining significant engagement with a strong spring tension. This feature is matched with a hammer catch that performs as a drop safety, only allowing the hammer to strike when the trigger is pulled. Ruger has listened to customer input and has quickly responded with a hammer-fired polymer pistol option after a highly successful launch of their striker-fired Ruger American Pistol last year. In fact, Ruger has been quick to provide the options that make a truly complete pistol line in record time. 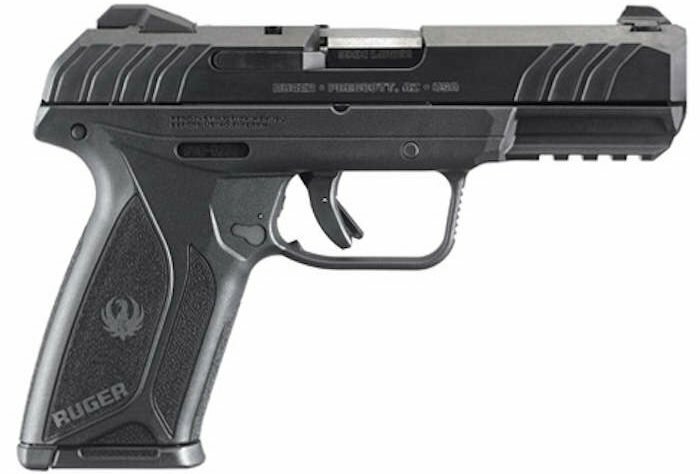 Last year’s Ruger American Pistol came out as a striker-fired pistol in a mid-size frame. Very quickly after the RAP’s release at SHOT Show 2017, Ruger responded with both a Compact Ruger American Pistol, and a Manual Safety RAP version as well. These options provide just about everything a person in the striker-fired pistol market could want. Hammer catch prevents hammer from engaging without trigger pull. 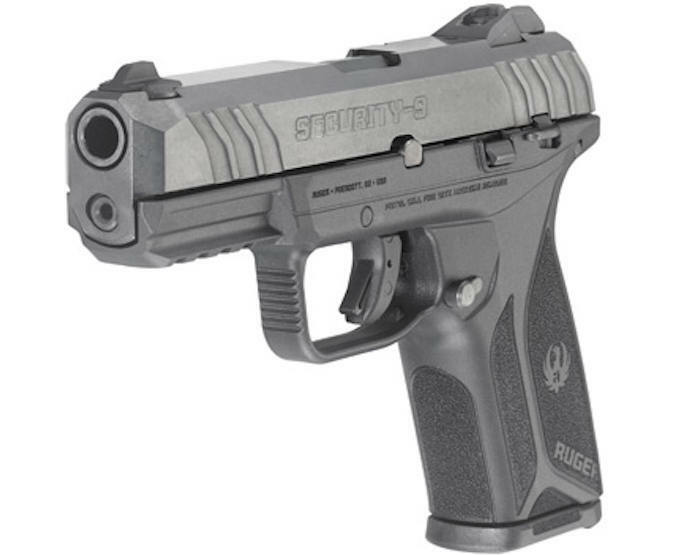 The Ruger Security-9 is the hammer-fired answer to the Ruger American Pistol. 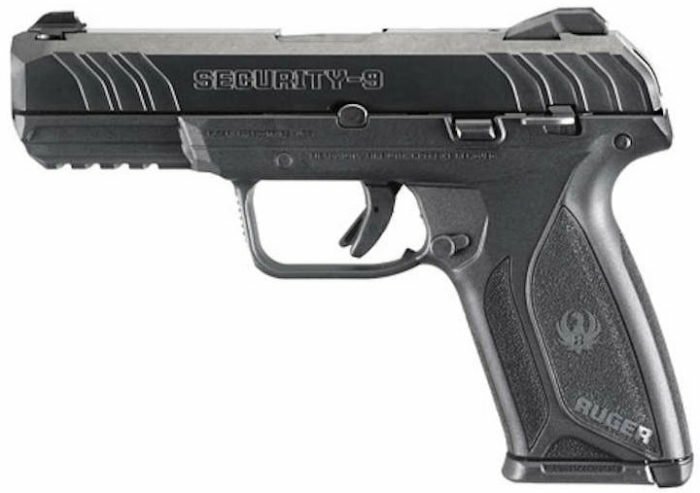 The Ruger Security-9 comes equipped with several safeties. Last year the BlueSheepdog Crew had the opportunity to try out the Ruger American Pistol at SHOT Show. Despite being late to the game, the incredibly affordable RAP was one of the biggest surprises of the Show. The pistol shot very well, had very nice features (other than some aesthetic detractors), and presented a very strong challenge to striker-fired juggernauts Glock, Smith & Wesson, and Sig Sauer for a reliable, accurate and feature-packed striker-fired pistol. The new Ruger Security-9 pistol combines many of the same features as the RAP, but presents a uniquely different pistol. The hammer-fired action is sure to make some shooters very pleased, while the safety mechanisms, dove-tailed adjustable sights, alloy magazines, and blued steel slide are sure to attract others. At an amazing MSRP of only $379.00, the Ruger Security-9 is almost guaranteed to be a hit. After 200 rounds, I am putting my daily carry (CZP10C) in safe and will be carrying the Ruger Security Nine.